well, seems the video was'nt much help for striking up ideas, but i did find out something else with a bit of frustration LOL. So i went out today, tried starting it after just looking over some things. At first it would only crank and show no signs of wanting to start. I continued to try it for about 3-4 times turning the key off completely after each attempt before turning it on and cranking again. Eventually i started getting some sputtering/short starts and cut offs again. eventually i decided to just keep the starting turning even through the mini start ups and eventually it fired up and started running at an idle while i had the key in the start position, so basicly the starter was still engaged with the engine running. Once it was running very well i let off the key and died instantly. I've been able to do this repeatedly today but to sum it up, the starter has to be turning the motor over in order for it to run...and it runs with no missing etc. As soon as the key is let go and it goes to the on position it dies immediately...Any ideas with this new info? sounds like either the fuel pump relay (small gold box i think under the radio on these cars).. or its electrical where its not keeping 12v to that relay when key is let go..
hmm looks like after i swap out these coolant temp sensors i snagged a few years back from the junk yard i'll be checking that out as well..basicly i just need to make sure its at 12v with the key on correct? kinda hard to test it... basically u get 12v to it when in run position... then when in normal position it will only have 12v when the car is actually running.. that way the FP wont stay running when car isnt running. well i hit the fuel pump with a direct how wire, heard it running like crazy the whole time lol and still didnt help hmm so maybe its not the fuel i'm losing in the run position but instead spark. its the 4g63t swapped 4g btw, so i hit that on the mpi relay. im running out of ideas now :/ hmm i guess i'll have to try and find the post i saw that only needed like 13 pins on the ecu to make the car run and start checking those. Anyone off hand know of the post im talking about? hmm maybe in archives or on mirageperformance forums. also, the more i think of it the more i've been thinking that i've got a 90 harness and a 91 motor...but the donor car was running with this in the donor car atleast long enough for the other guys to wreck it LOL. Can anyone tell me what the mass air flow sensor should be reading in volts, ohms or whatever kinda voltage ? Has anyone ever heard of this kind of problem with a bad ecu? I snagged like 3 coolant temps sensors from the junk yard a long time ago, i swapped one out but not the other two yet....i just dont know. I did notice my tach isnt working now either..but i did swap another cam sensor out from the one before. when i get a chance later today or tomorrow i'll check to see if it gets some power. Does anyone have a list of what the voltage should be to all sensors on the car? The car has an egr delete on it, I havnt hooked my boost gauge up yet since i didnt want to risk an intake leak, but it seems it might be better to go ahead and finish that up to see what kinda boost i've got while i get it to idle even with the starter on. 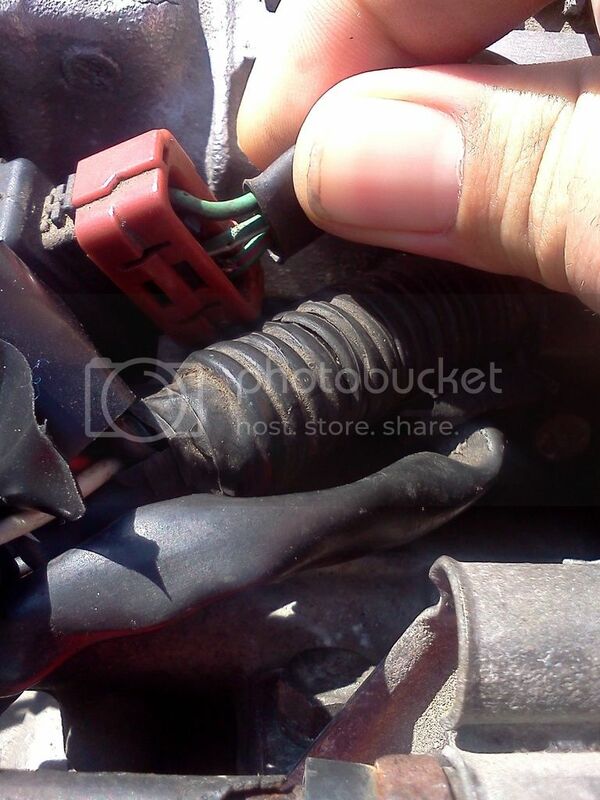 I also used a diagram to hook up the intake hoses and they are blocked off and such as needed as far as i know. when i get some extra cash if i havnt figured out the problem yet, i'd like to get a 91-94 dsm ecu to swap out and see if thats been the problem the whole time...just not sure if i'd waste the cash or not since the car does actually run even if its in a strange way. Accepting any and all ideas even if its been mentioned so anyone that reads feel free to reply...also this might now be a better thread for 4g63 tech so if u guys feel the same feel free to move the thread there now too. When i had the wrong ecu in my car (the 91+in a 90 ) it wouldnt rev up either it also surged alot. Also if your tps and cas plugged right in you have the correct harness for the engine. They are completely different between the 90 and 91-94's. if the motor. 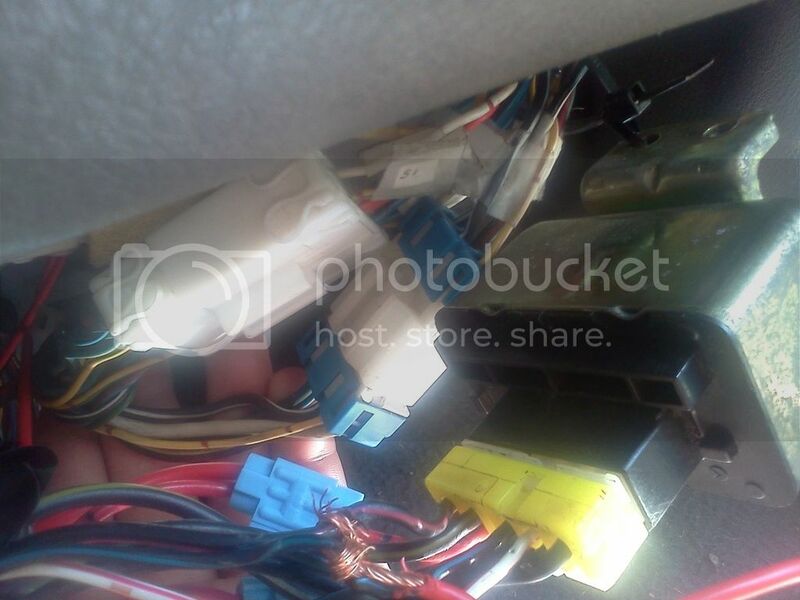 harness and ecu came from the same running car then it should all work... as for the wires at the ecu to connect to the car.. i think theres only a few that need to be connected to start...the rest are just for the gauges to interface with the sensors on the motor. and as chris stated (this only works if its the 90 harness/engine ) sometimes (and I have done this before also).. the cas and tps have the same plugs.. maybe try swapping them (check the color match up of them). when I did my swap into my 4g it took me a few weeks to get the wiring right mostly cause I was also splicing in a auto tcu at the same time which I eliminated since then..and to note I was only working on it 30 min to a hour per day and not every day so thats why it took a few weeks. Hmm now i'll need to get the part number off the ecu and google around to find out exactly what it is. Also have any of you heard the ecu being bad with any kinda problems like this? just curious because the next things i get if i cant get it working will be another ecu and possibly injectors as they are the 2 parts i've never actually swapped out myself. Also i told mirageman it was a 91+ engine/harness when he made the wiring adapter, so if any of that may be an issue let me know. Bad ecu's can cause all sorts of weird issues. Anybody with one of these cars should have a few spares on hand. 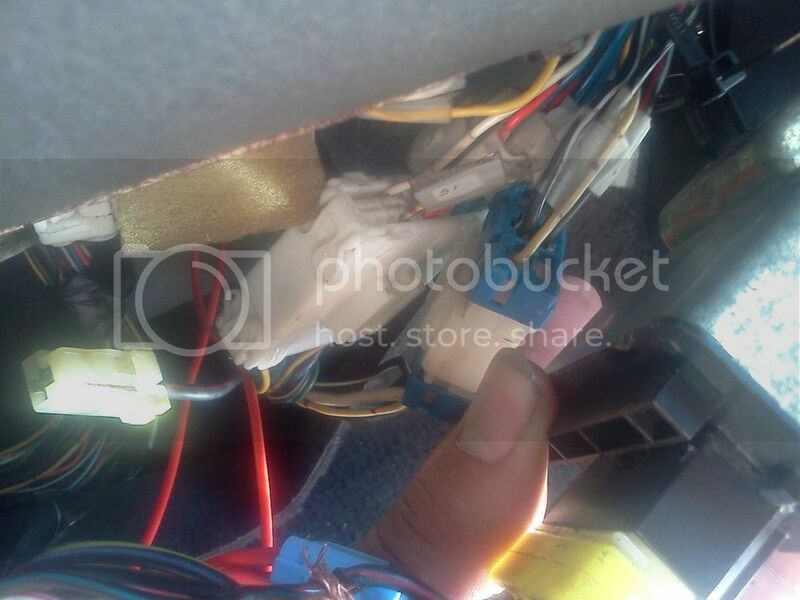 The 90 & 91-94 harnesses are also different where they connect to the dash harness. 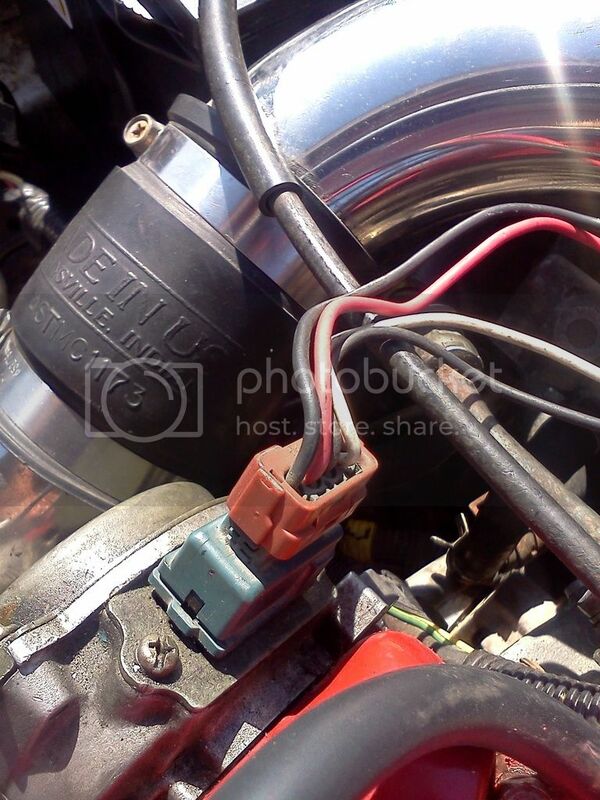 If you can grab some pics of the plugs there I can easily let you know what harness you have. this is th emain image I used for my 4g swap..(along with a 90 ecu color pinout)... if you look at the top plugs center to right u will see the tps and cas plugs with wire colors so u can match them up to ur car. also I have 2 tached clusters and I cannot for the life of me get it to work.. I have tried everything... but if I hook up a dsm tach to the same wires it works.. so im stumped on that. hmm after lookin at that and going by what i just re-wired i believe the two plugs arent mixed up now. and as for a pic of the plug i'll get that for u today sometime mirageman, and that will make it easier to know for sure without any wasted time. 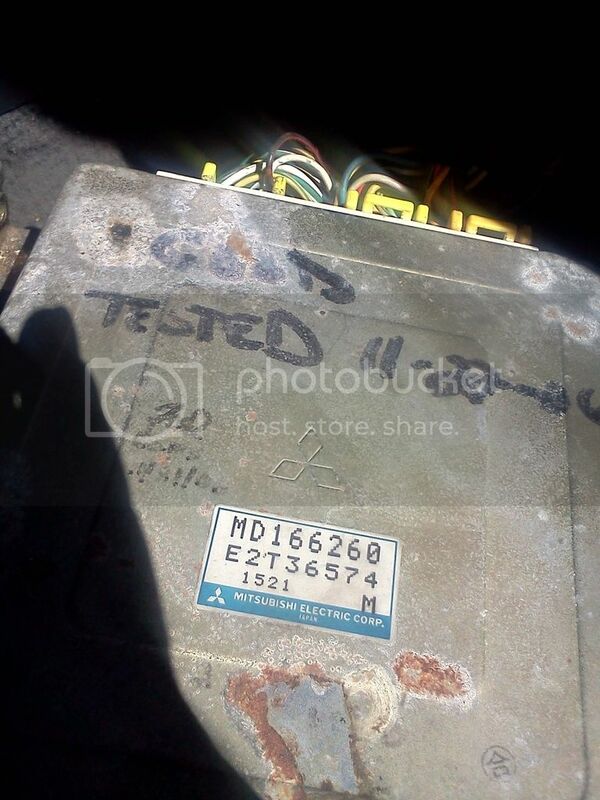 after a quick google the part number on the case matches for a 91-94 motor, and it is quite possible that the old cas that had the plug wire connected to it was just wired into the engine harness before i got it, and what my friend had done was swap it back to the original. yeah that cas is 91+... can you take a pic of the coil pack plug?